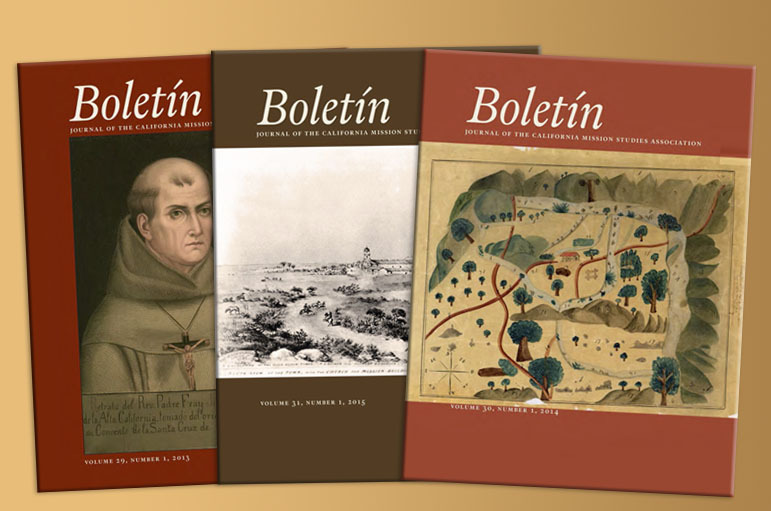 The California Missions Foundation publishes an end-of-the-year award-winning print Journal, Boletín, provided complimentary to all CMF members that calendar year. The Boletín is supervised by CMF's California Mission Studies Committee as well as CMF's office staff. If you are interested in submitting an article, click here to download the Boletín Style Guide. Submissions should be e-mailed as an attachment to: boletin@californiamissionsfoundation.org. Editorial-related information may also be obtained at this same email address.